It’s happening! Gothenburg’s very own out door track in Frihamnen is now ready for us! The three teams of Gothenburg invite you to our grand opening day on Saturday, 17th of may. It’s going to be an eventful day and evening with two roller derby games, various artists performing, wonderful food being served and the Gothenburg Tango association having a try-it! 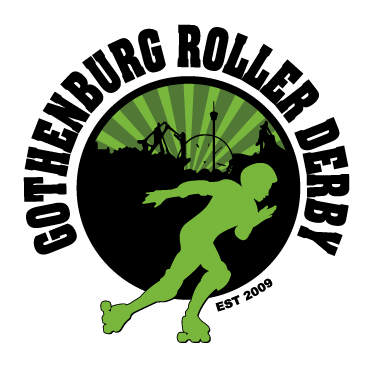 We will also arrange the greatest of ROLLER DISCOS –so come around, borrow skates from us and party the night away! 13.00 Game 1: Gothenburg Salty Seamen - Malmö Royal Roller Derby co-ed. 15.00 Open skate: Borrow your own wheels and give it a go! 18.30-20.30 Roller disco with the awesome hip hop-club Cake! It’s all for free, so gather your friends and come see us Saturday! 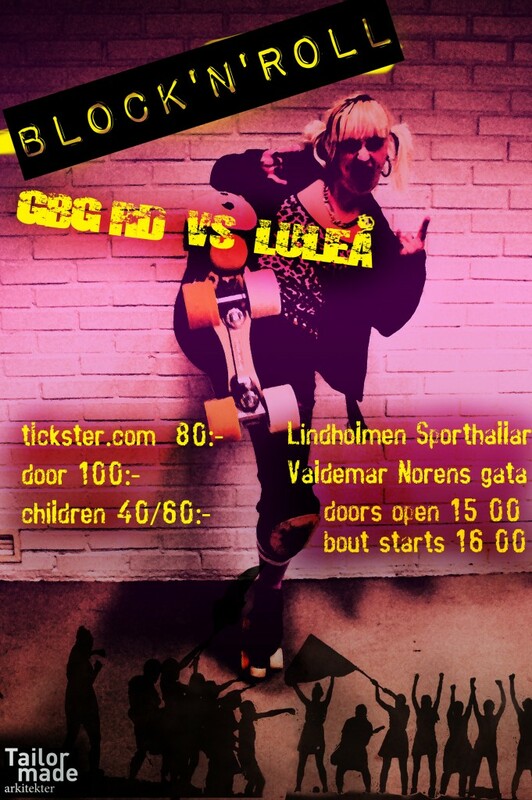 GBGRD invites you to our first homegame this spring. 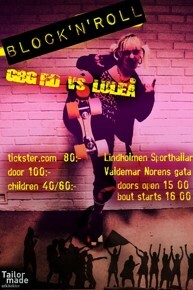 We will meet Luleå Slaughters Daughters in a Rock ‘N’ Roll fight!